I've noticed that as well, after putting on the PSR shorty levers. Trying to figure out if my clutch is doing something it shouldn't. Or isn't doing something it should. Cruise works and shifting is fine. Otherwise, love the new levers! Talked to our local yamaha service shop, it's the normal transmission noise, like others have mentioned. So, tried swapping in an EvoTech clutch lever tonight. Didn't do any baseline testing to see how anything felt before changing levers so I have no idea if I'm thinking something is wrong when there's not or if I legitimately screwed something up. Is it normal, when in 1st gear, clutch pulled in, for the bike to still pull a little? As if barely under power; my bike kinda walked itself if I lifted my feet off the ground. I was on the ever so slightest of declines so gravity could have been helping but there were times I could tell I was holding the bike in place as opposed to just keeping it from falling over. I only futzed with the adjustment at the lever to get slack within spec and didn't touch the adjuster on The other end of the cable. I know a rear wheel can spin a little when the bike is cold and the bike is in neutral, but this seems like the clutch isn't completely disengaged from the transmission. when the engine/oil isn't warm, a wet clutch can cause some wheel movement even when the clutch lever is pulled or the bike is in neutral, but i've only noticed this with the bike on a stand. 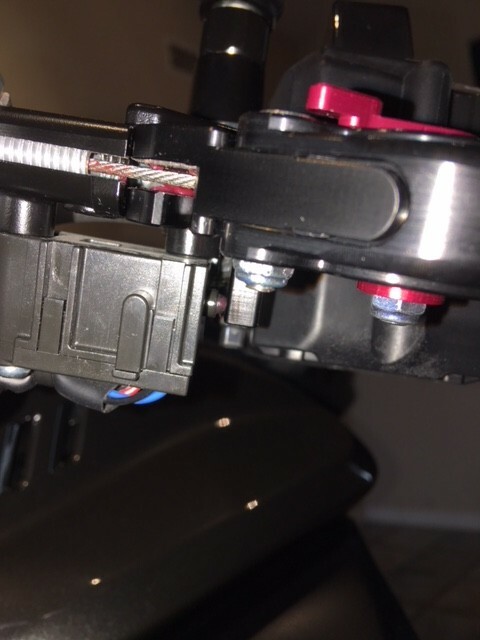 I haven't put the MT in gear while on a stand due to the ABS sensors, but this is common across all bikes. However, that effect should not be enough to move the bike forward. I wouldn't think a lever swap would require you to make an adjustment anywhere but at the fine adjuster at the lever. If i were you I would take the bike somewhere totally level and see if there is any difference in feel between neutral and 1st with the clutch fully engaged. I would think for the clutch to not fully engage you would have to have a ton of cable slack. Yup, I'm familiar with the cold-oil/engine-wheel-rotates thing.. it's definitely not that because the fan was kicking on due to me testing things out. I flipped the bike around in the garage to where it is ever so slightly on an incline and sometimes it feels like it's holding itself in place, i.e, still barely under power. If I roll it backwards to a steeper decline, gravity takes over and it'll roll backwards. It's a bit of a PITA measuring cable slack by Yamaha's manual, by measuring at the lever end vs. measuring distance of lever from the perch... 10mm at the lever's end translates to only 2.5mm between the lever and the perch. It seems like there's barely any slack. I had the bike on a rear stand when I was installing the lever. If I had the bike in 1st gear, started the engine with the clutch pulled in, the rear wheel spun very easily. If I applied rear brake and released it, the rear wheel started stopped and maybe would creep forward a little. I only did this a couple times for fear of triggering a fault with the traction/ABS sensors. I also noticed I have the "whirring" noise when it's in neutral and the clutch lever isn't pulled in. Got the issues with the clutch lever sorted out today; seems like everything is all good now. I took some photos during the clutch lever install but didn't take any during the brake lever install. Was going to post them up in this thread to supplement the missing photos; the brake lever is pretty straightforward but I can still post the photos and add some arrows to help illustrate. Hey guys, which lever sets are a perfect fit right out of the box? I'm thinking Pazzos, but would like some input first. And also if the myriad of $150 sets available on eBay (that's the highest price, so they should be) are legit or not. Thx. I want the black regular levers with red adjusters, to add a little contrast. Hope the red is equal or similar to the red of the disc carriers. Thx. Oh, and where the heck is the 2017 service manual here? Somebody said it was on this site, but looked everywhere, and can't find it. Need to find out the engine bolt torque since tomorrow my frame sliders arrive, and need to remove those bolts for installation. Also curious if blue thread locker is needed. Thx. The MT-10 Service Manual is in the Tech Tips section, about halfway down the first page. You can download it, 658 pages. Got the manual, thanks. Waiting for the Pazzo regular length levers (black with red adjusters) to be delivered at my house any time now. Hope there're no installation issues at all with those. In the mean time, will look for the removal/installation of both levers in the manual for torque figures and any other tips. If somebody here has any tips or 'gotchas' for the Pazzos, it'd be greatly appreciated . Thanks. If nobody replies, I'll come back and comment on the installation, for future buyers. I just installed these levers on my bike yesterday and my Quickshifter is not working. Shows on the dash that it’s enabled but it does not shift up. Doesn’t feel or sound like I’m riding the clutch so it should be fulling engaging/disengaging. Anyone else have this problem? I installed my levers yesterday too, but Pazzos instead (pics below). They fit basically like factory, the brake side better than factory, and the clutch a bit worse than factory as far as vertical play, but functionally both fit like factory. Your issue has to be the clutch switch. You're aware you need a 'special' tab for the switch my now, correct? I saw Evitzee's one, and it barely engages the switch, not even touching the entire tip (just half of it). But it should work fine. Check your switch. Peek under the lever, and locate the switch. It should be close to fully pressed in, and when actuating the clutch lever, you should hear TWO clicks, the first being for cruise disengage, and the second for QS disengage. You probably didn't get the correct tab either. Hope this helps, and good luck. That pic of the switch tab in my previous post was upgraded by ASV after Yamaha slightly changed the geometry of their levers in 2017 so the tab on the levers didn't fit right on the new design. The old tab wouldn't allow the lever to close completely so they redesigned the tab, and also extended it so it now covers the switch completely. That's why you pay a little more for domestic manufacturers like ASV and Pazzo, they'll correct issues, often for liability reasons. The Chinese, not so much.